After having enjoyed your car for quite a long time now, it can be a real shock when it’s finally time to get rid of it. This is where a Toyota wreckers Auckland company like Cash My Car can come to the rescue and help make this process as simple and painless as possible. When you use a car wrecking company like Cash My Car you are guaranteed to land yourself a great deal. This is because we have years of experience in the car wrecking and removal industry in NZ and as we are not middlemen are able to pay top dollar for your unwanted Toyota. 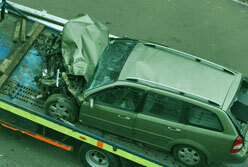 Often keeping your old car becomes costly not just with repairs but maintenance as well. Driving something unreliable is not only frustrating but can also be dangerous if it really is on its last legs. That’s why it might actually be in your best interest to scrap your car for cash rather than holding onto it while it burns a hole in your pocket with costs. 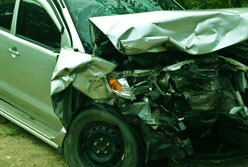 When you choose Cash My Car as your Toyota wreckers Auckland company you make your life easy. You no longer have to worry about how to get rid of it, how much it’s worth or trying to deal with lots of different potential buyers coming round trying to negotiate a deal that is weighted in their favour. Selling a damaged car or unwanted Toyota parts to the general public wouldn’t get you much at all, in fact, it would be a hard sell! They see the value in a car that’s working and is already running unless it’s for a project and in that case, if someone is wanting to invest money into doing a car up they are going to want it dirt cheap. The beauty about selling your damaged car to Toyota wreckers Auckland is we see the value in cars in all conditions. This is because we are able to dismantle and salvage individual parts which we can then sell onto suppliers so we place a much higher value on your vehicle then any private seller would. It’s for this reason you should leave the buying to us and ensure you walk away with a quick cash deal you are happy with. When selling your car, the ideal situation would be for you to get the cash in your hands as soon as possible. This is something you are able to get when selling your Toyota parts for scrap to Cash My Car. 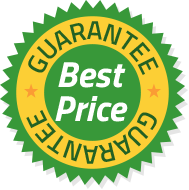 All you have to do is complete our quote form and we take care of the rest. As soon as we pick up your car you get your cash, it’s that simple. Get cash for your Toyota now! Cash My Car is the largest Toyota dealer in Auckland. As we are the wrecking company and do all the dismantling ourselves so don’t resell your vehicle or scrap car onto other Toyota wreckers Auckland. This means we can guarantee you get a premium cash price for your car. You get more cash and a better service, guaranteed! We have multiple tow trucks running in the Auckland region and provide a free Toyota collection service. We can pick up your car on the same day you get in touch. We don’t just buy certain types of Toyota vehicles. Because of our large retail buyer network, we pay top cash for cars prices for all models. Car damaged and not insured, or would repairs cost more than the car is worth? 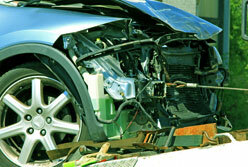 We will pay the best cash for cars price for your wrecked Toyota, it couldn’t be easier! If your Toyota has been written off or doesn’t run anymore or is in pieces don’t throw it away. You might be surprised at how much it’s actually worth!